There is something about the desert that is rather magical... one of my favourite travel experiences was lying in Utah's Arches National Park watching as the sun set and the most stars you've ever seen in one sitting, begin to flood the sky. 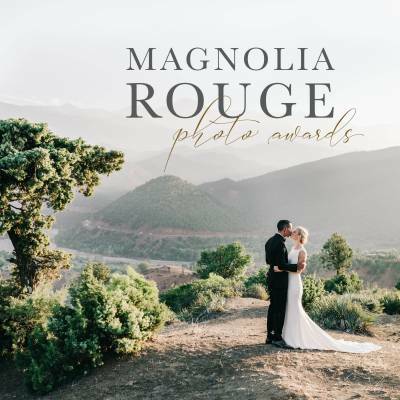 It was utterly captivating and I think it's such a fun environment for a wedding! 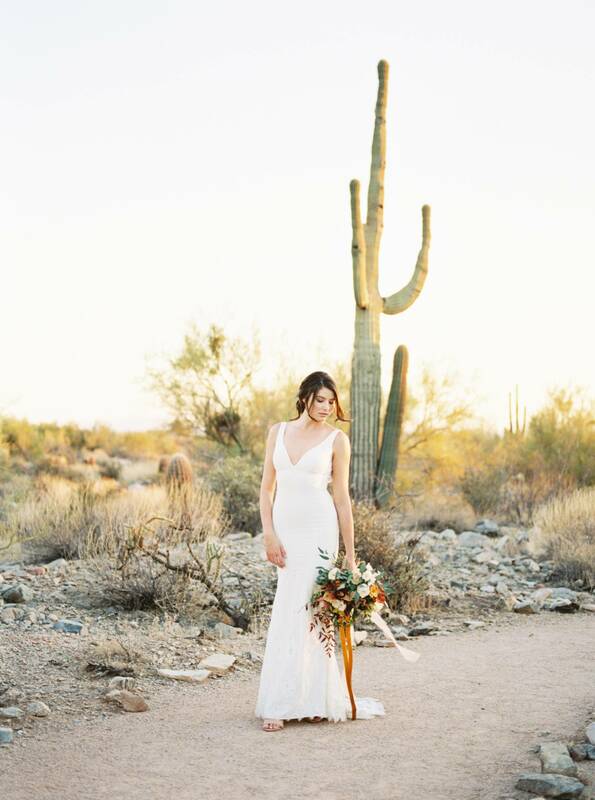 This gorgeous shoot by TARA BIELECKI PHOTOGRAPHY took place just outside of Scottsdale, Arizona and we think it's the perfect starting point if you're planning a desert wedding. Tara tells us, "I've always found the desert to be a place of inspiration, so full of soul and seemingly limitless. 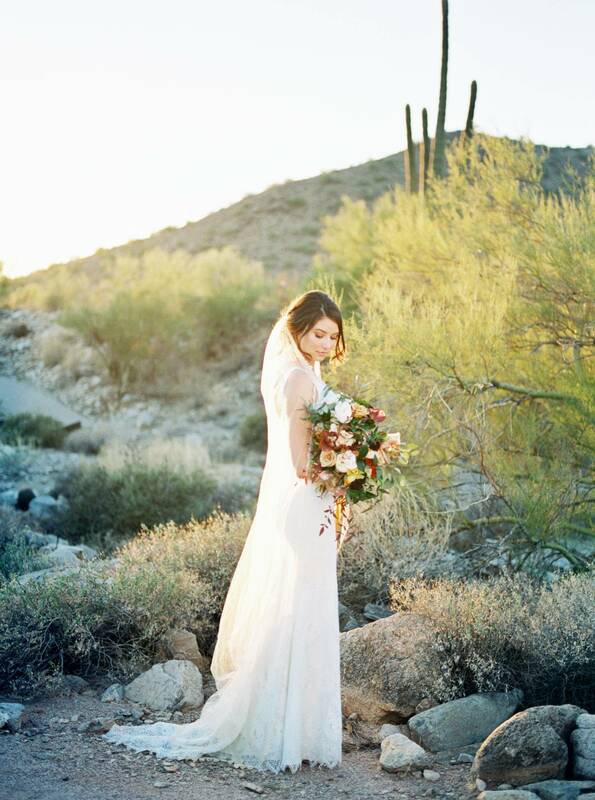 We wanted to inspire brides planning their desert weddings with soft, warm tones plucked straight from the desert landscape and paired with the simplicity that the winter landscape often boasts. 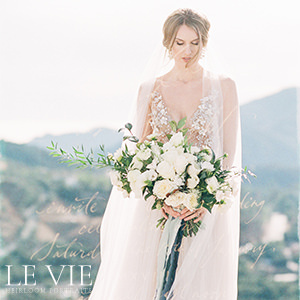 The Toscana gown paired with the Kristene veil from CLAIRE PETTIBONE are the perfect style for a bride looking to do an updated, yet classic take on the recent boho trend. THE PETAL THEORY accentuated desert colours with rich, rust coloured tones and we used these same warm tones for a natural makeup look for our bride. Ana from PHOENIX MAKEUP COLLECTIVE created a loose up-do that can take a bride from her ceremony to the reception looking effortless and chic. 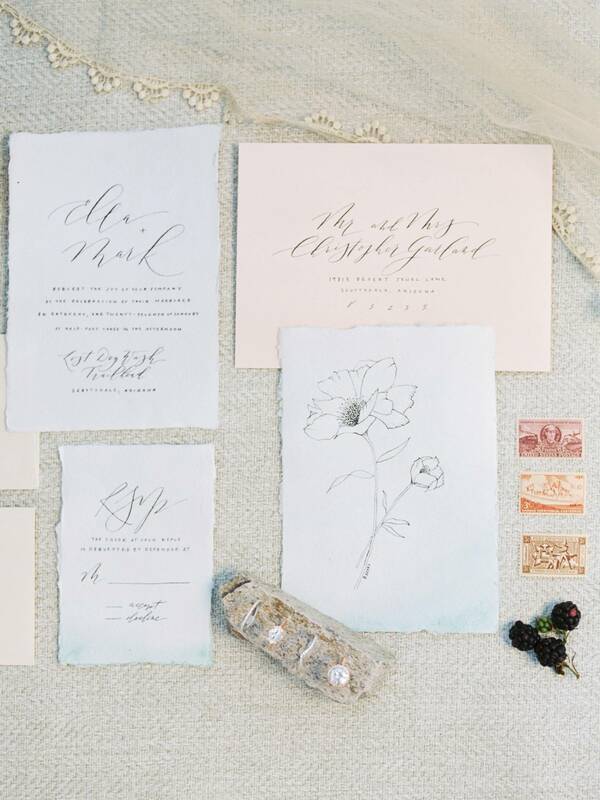 We again used that same warmth and simplicity for BRUSH & NIB to create the invitation suite and vows. 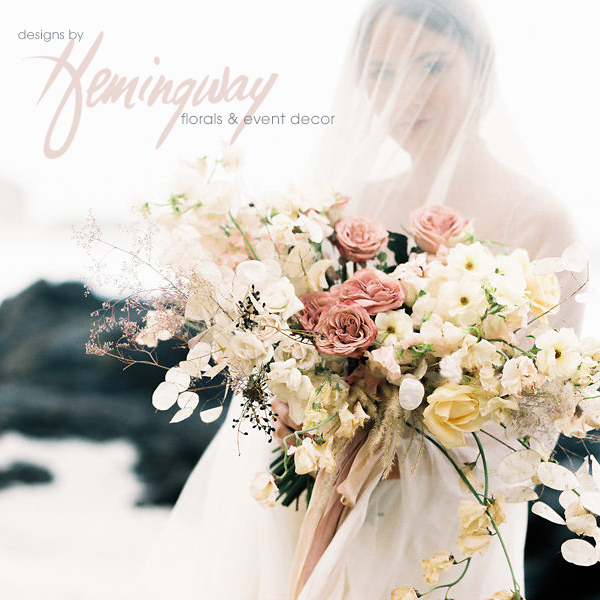 I've really fallen in love with the idea of vows being preserved in not only photos, but well after the wedding day by working closely with a calligrapher to create a beautiful heirloom for your home. 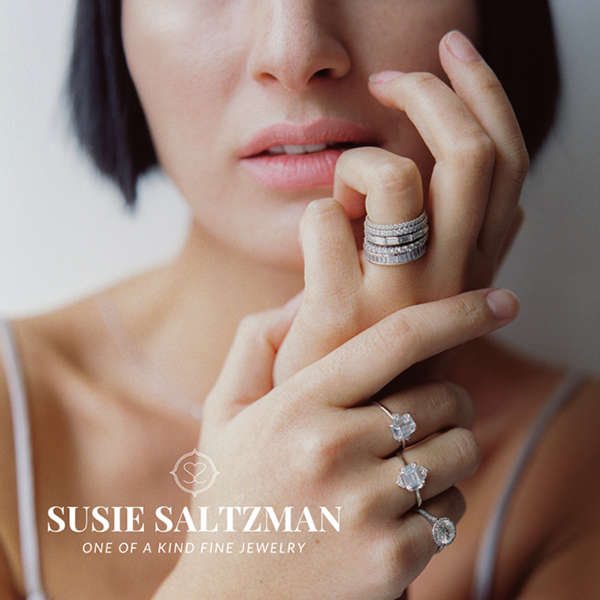 A new trend I'm excited about this year is mixed metals and engagement ring designer SUSIE SALTZMAN is creating inspiring wedding ring sets by doing just this! 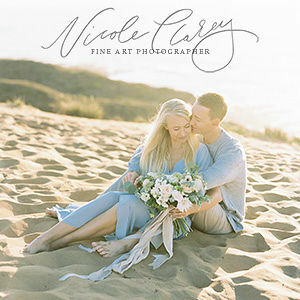 We hope this shoot inspires couples to look to their surroundings when gathering inspiration during the design process."